If you would like to download this, then please click this link: 5 Math Tips Every Student Must Know. You don’t have to know all math to know math. It’s accepted and embraced within our culture to not be good at math. We hear this all our lives. We turn it into, “I can’t do math.” An middle-aged college student worked hard on a math section, and was successful. Then, she looked at the next section. And said “I’m not good at math. I can’t do math.” Even after her previous success was pointed out. Still not good as she didn’t know ALL math. I asked, “Are you good at English?” She quickly replied, “Yes.” I’d point to the huge dictionary across the room. “Do you know every word in it?” No, but she still knew English. “Then, why is math an all or nothing kind of thing? We have to know everything in math or we know nothing? ?” (Sigh.) I had the same conversation with many different students. And, yet, truly, the more math we learn, the more we know we don’t know. And that is a wonderful thing. We just need to focus and learn the math that we need to know and use. Sometimes, we need the math to get a diploma or to do our jobs or to cook a meal. You know more than you think you do. Another student said, “I can’t do percents. Never could.” I asked her about when she went shopping and got a dress off of the sales rack with a sign that said, “30% off the sales price.” Did she know the price? Indignantly, she immediately answered, “Well. Of course, I do.” She was more than a little stunned to find out that she did do percents. You remember more than you think you do. Our brains may just need a nudge. Sometimes, our brains go blank while we are doing homework or worse yet during an exam. We can stare at the problem and the paper just stares back – blankly. Perhaps, we need to factor the following equation. Write down the parentheses. At this point, our brains get triggered and the next step is x. Next step is to put in the signs. Finally, we get the answer. 5. Use pale yellow index cards to write down formulas and other things you want to remember. Black on yellow is supposed to help with memory. This is great for some, though, if you are like me, then your eyeballs don’t like that combination. In that case it is okay to use the pale yellow index cards with your favorite colors. The key is to do what will get us to look at the cards more often and have the formulas on the cards make sense to our brains. Along with formulas, we might include a step-by-step example factoring a quadratic equation. These are used as study cards rather than flash cards. Though, you can always do flash cards, if that style of learning works for you. Remember, the eraser is your most important tool! And you can do it!! I love math and helping students understand it has been my passion for 13 years. And I love bunnies. All my bunnies have been indoor buns. Each with their own personality ~ the explorer, the guardian, the Queen, and the most laid back of bunnies ~ have taught me patience. I grew up in Orange, CA with my sister, 2 brothers, dad had his own business and mom stayed home. Long ago, I worked at a company wanting more. Teaching 2nd grade seemed like a good fit. I returned to college, because a college level math class was required before transferring to University. I was forced to retake algebra 1 & 2, because it had been too long since I took math classes in High School. Ugh. I was really unhappy. Okay, majorly upset. That meant 3 math classes had to be taken! The college’s reasoning was that after a year, we start to lose math. They were correct. An amazing thing happened, I loved the math. The problem solving and being able to come up with the right answers. Yay! Time flew while I was doing math. Not that it came easy. It did not. I enjoyed the process. The figuring it out. And, yes, I officially changed to a math major. • what teachers want from students. • talk less and listen more to learn what the students do or do not understand. • ask questions to help the student find the answers. have fun with math, and see their self-confidence grow. • tutoring kept algebra fresh as I earned a BA in Mathematics, while classmate forgot the basics. graduate students in nursing, MBA, and other programs with their stats sections. Quigley is the most laid back of bunnies, he enjoys the life of an only bun. He came from the local Animal Shelter. 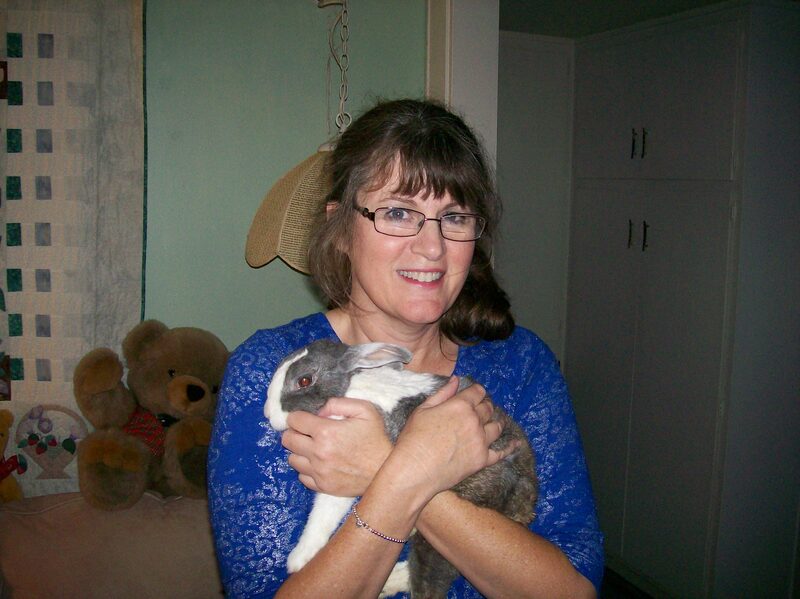 Also, I help fund-raise for a rabbit rescue in Central California. I continue to help students understand and feel comfortable with math. This helps students eliminate math anxiety, build their self-confidence and math knowledge, and improve their test scores. I work with students from Middle School up to graduate school, from Algebra to Calculus 2 and Statistics. Math Tutor ~ The best of all worlds ~ Math and Helping students!